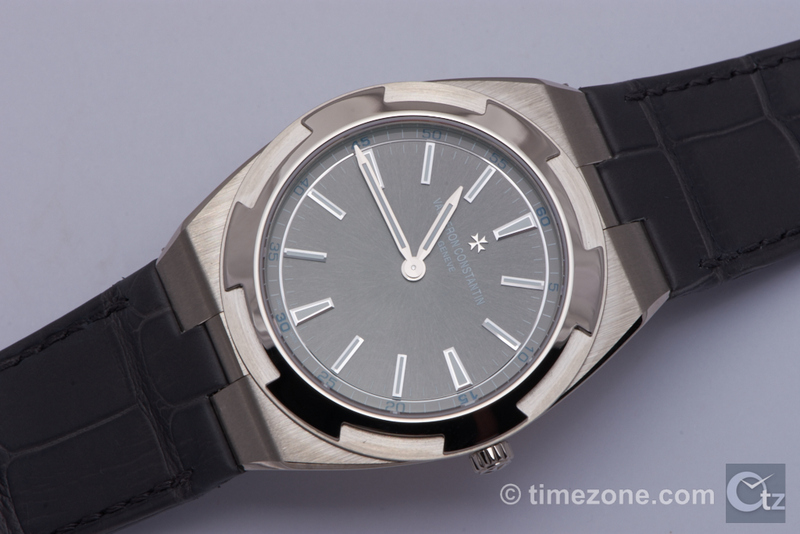 Originally launched in 1996, the Vacheron Constantin Overseas celebrates its 20th anniversary with a third generation Overseas collection. 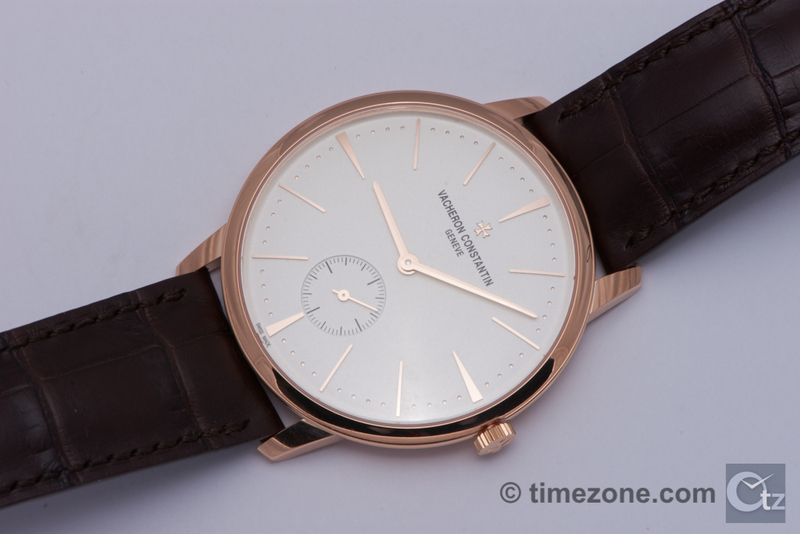 An evolution in details, the new Overseas cases are slightly more rounded, the dials are more refined, the bracelets and clasps are tapered and now, finally, Vacheron Constantin responds to collectors who have pined for an Overseas with an in-house movement by introducing two new in-house manufacture calibers. Both new manufacture automatic calibers are protected by a soft iron ring for antimagnetism and are beautifully finished to Geneva Seal standards with 22-carat gold rotors decorated in a wind rose motif. 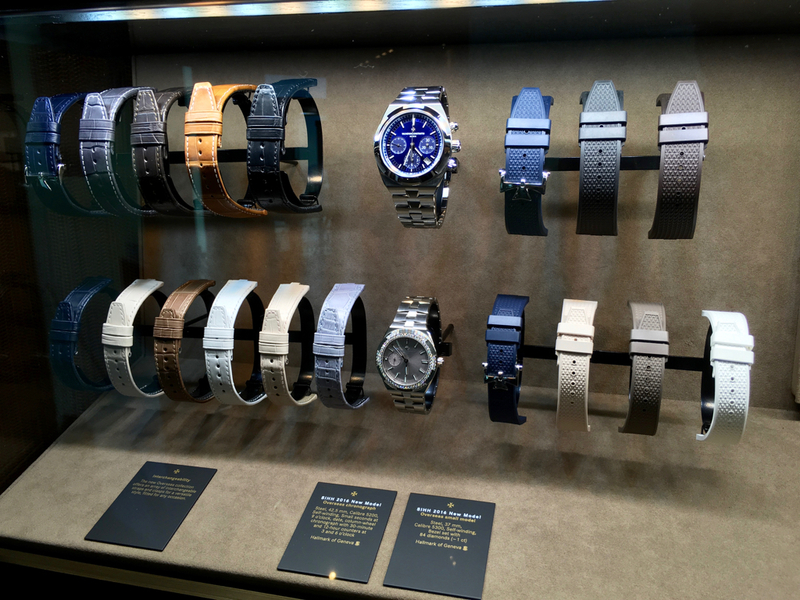 Depending on the model, Overseas watches are now delivered with two or three different removable steel or gold bracelets/leather and rubber straps that can be fitted with a deployant clasp. A clever interchangeable system makes it easy to change from a strap to bracelet without any tools. 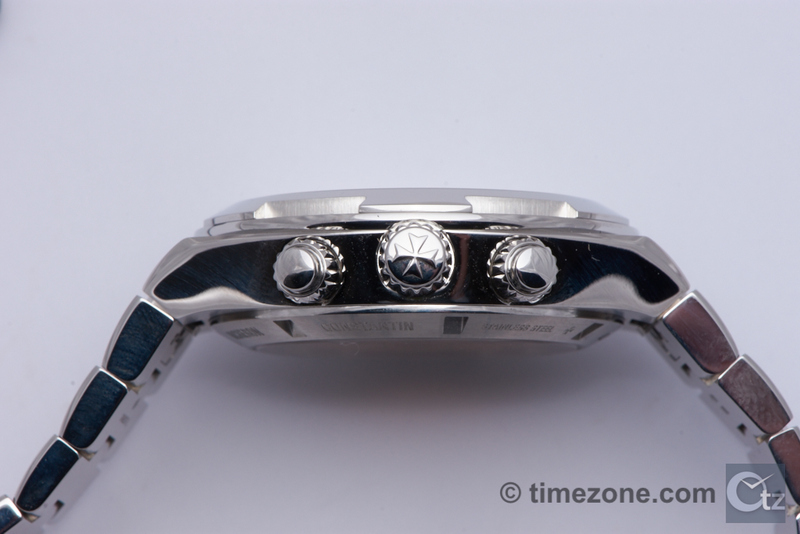 In addition, the steel bracelets have a length adjustment mechanism. Also new for 2016 are four new Patrimony models that evoke the classical and timeless appeal of the 1950s. The new Patrimony include the stunning Patrimony Perpetual Calendar Collection Excellence Platine, Patrimony 42mm, Patrimony Small Model and a gold bracelet for the Patrimony 40mm. 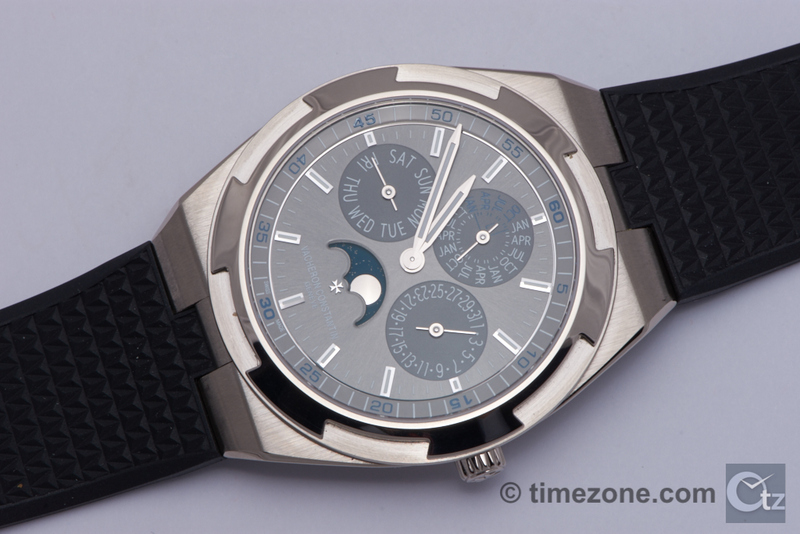 The Overseas Ultra-Thin Perpetual Calendar features a translucent grey lacquer dial with a sunburst satin-finished base and velvet-finished minutes track. The sporty chic complication has a 41.5mm white gold case, and white gold hour markers and hands filled with luminescence. The white gold bracelet has half Maltese cross links that are polished and satin-brushed, and secured by a white gold deployant clasp with comfort-adjustment system. The timepiece is also delivered with an interchangeable hand-stitched grey alligator strap, and black rubber strap, each with a white gold tang buckle. 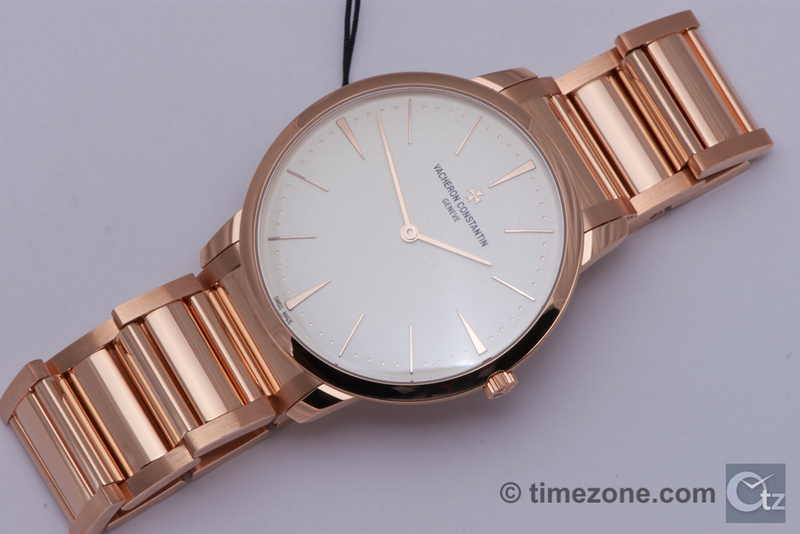 The timepiece houses the ultra thin Cal 1120 QP that measures only 4.05mm thick. Price is $91,400. 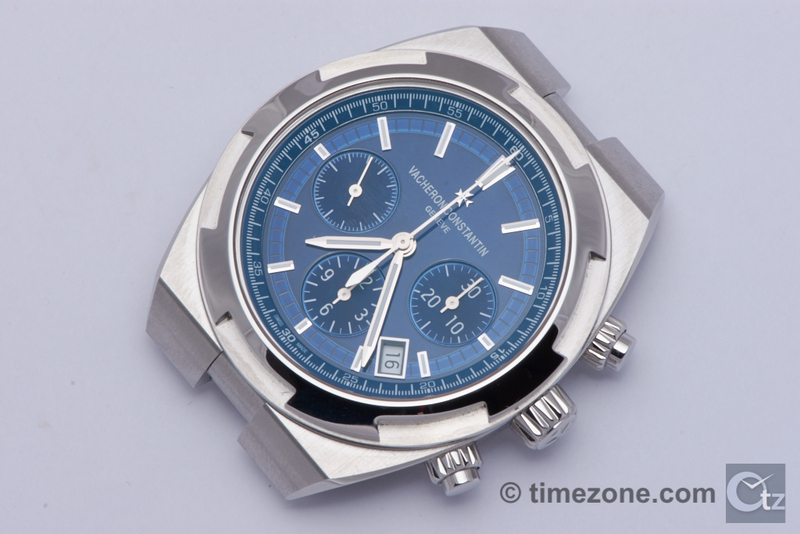 The Overseas Chronograph features a translucent blue, silver-toned, rose beige or grey lacquer dial. The dials alternate between sunburst, snailed and velvet finishes and the faceted hands and hour markers complement the gold frame of the inner bezel ring. 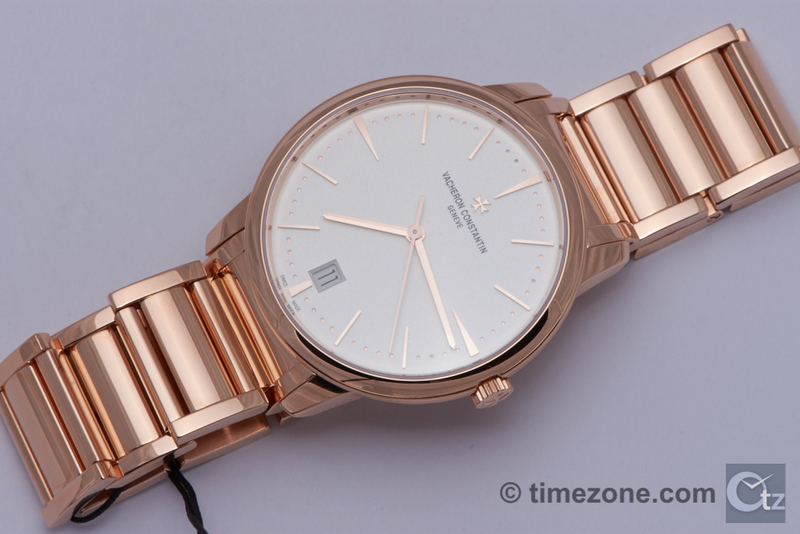 The stainless steel or pink gold case measures a sporty 42.5mm x 13.7mm. The new automatic manufacture Calibre 5200 is protected by a soft iron ring for antimagnetism. 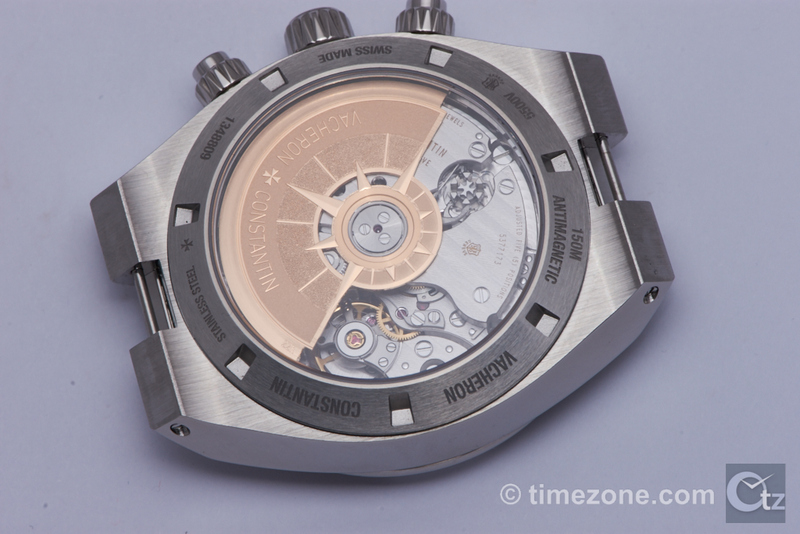 This 54-jewel, 263-component chronograph movement is fitted with a column-wheel as well as a vertical coupling clutch to prevent any jolts when the chronograph is engaged. The beautifully finished movement is hand-finished with a Hallmark of Geneva (Poinçon de Genève) certification, the column wheel is decorated with a screw shaped like the Maltese cross and the 22-carat gold rotor is decorated in a wind rose motif. In addition, the movement is equipped with a twin barrel that results in a 50 hour power reserve. Price is $28,900 for stainless steel and $49,000 for 18-carat pink gold. 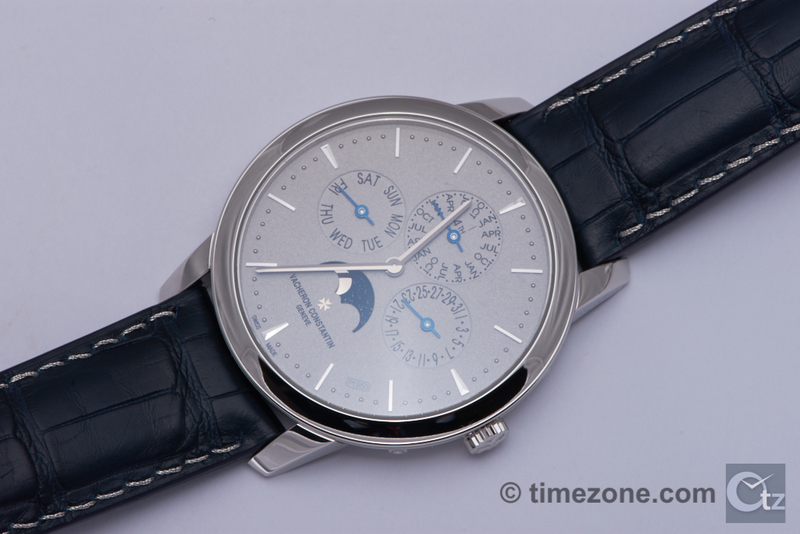 One of the stars at SIHH is the Overseas Ultra-Thin that is clearly influenced by the legendary 222. Early in his career, a young Juan-Carlos Torres worked on the 222 project in collaboration with a young design maverick named Gerald Genta. Characterized by its distinctive fluted screw-in bezel, sophisticated monocoque case construction and sculptural bracelet, the 222 developed into a cult icon amongst watch connoisseurs. The Overseas Ultra-Thin brings the iconic design cues full circle and features an elegant 40mm x 7.5mm white gold case, grey lacquer dial with a sunburst satin-finish, and the same exclusive ultra-slim automatic calibre 1120 as the original that measures just 2.45mm thin. The white gold bracelet has half Maltese cross links that are polished and satin-brushed, and secured by a white gold deployant clasp with comfort-adjustment system. 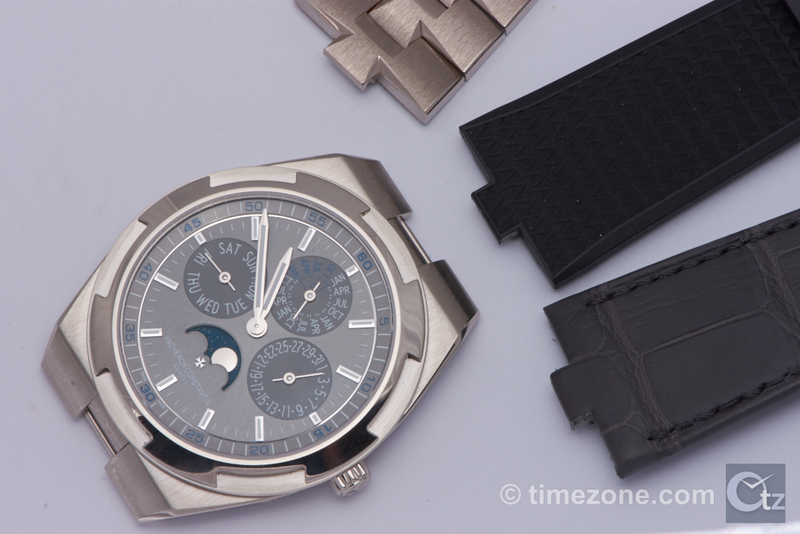 The timepiece is also delivered with an interchangeable hand-stitched alligator strap with a white gold tang buckle. 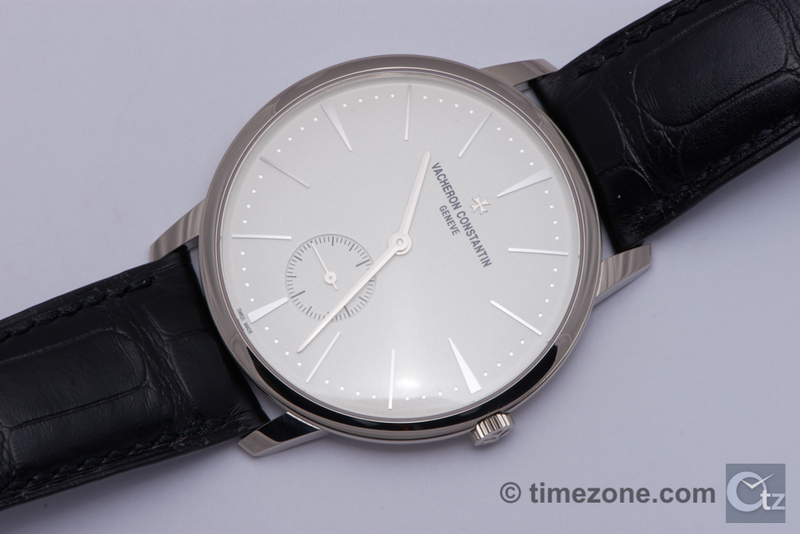 Available exclusively at Vacheron Constantin Boutiques, the Overseas Ultra-Thin price is $55,700. 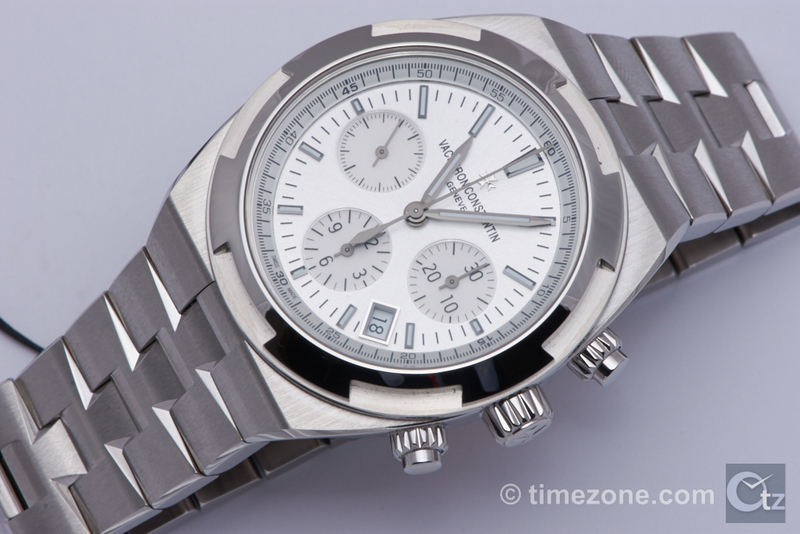 The Overseas reference 4500V is a most accessible timepiece in the new Overseas collection. 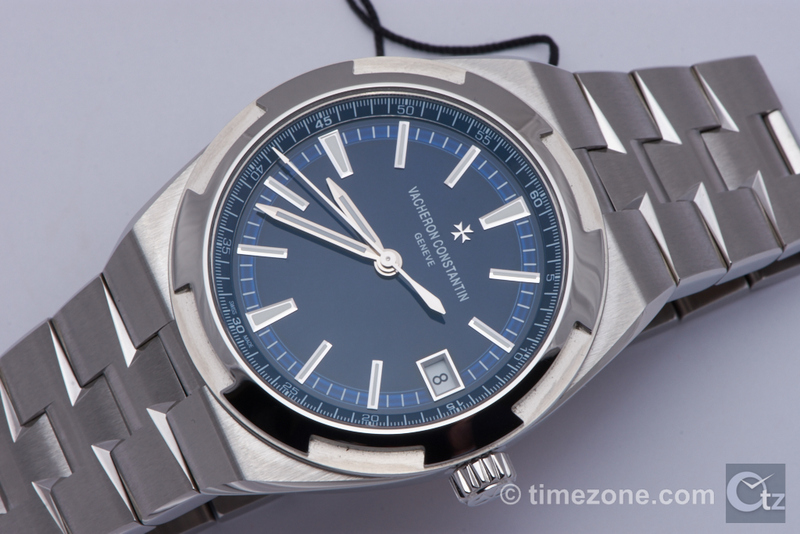 The Overseas features a 41mm stainless steel or 18-carat pink gold case with a translucent sunburst blue or silver-toned dial that displays the hours, minutes, central seconds and date. 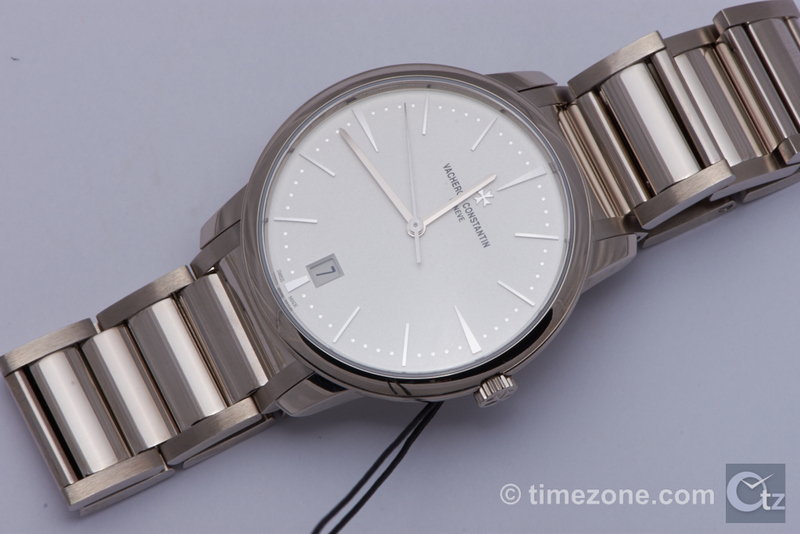 The new manufacture caliber 5100 is a robust automatic movement protected by a soft iron ring for antimagnetism. The caliber 5100 is composed of 172 parts and beats at the rate of 28,800 vibrations per hour with a 60-hour power reserve. 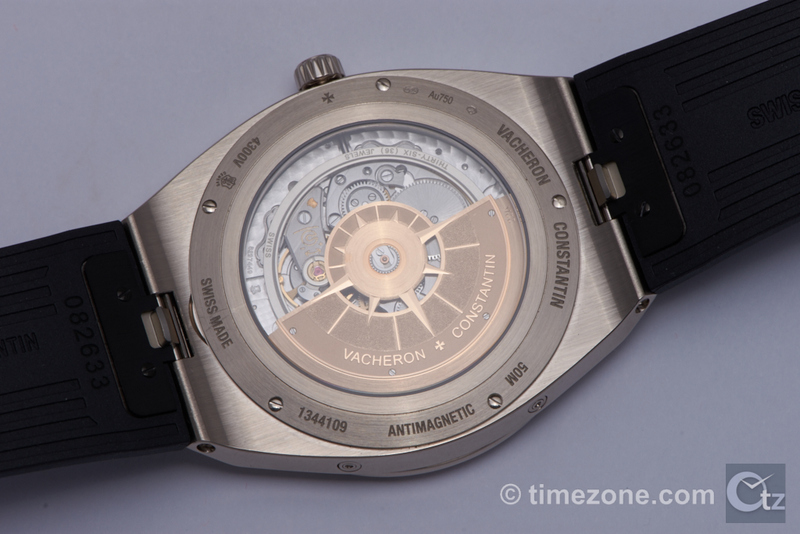 The movement is hand-finished with a Hallmark of Geneva (Poinçon de Genève) certification. Price starts at $19,900. Another star of SIHH is the stunning Patrimony Perpetual Calendar Collection Excellence Platine with a case, crown, buckle and sandblasted dial all crafted entirely in platinum. Even the hand-stitching of the alligator strap is done with platinum thread and secured by a platinum half Maltese cross deployant clasp. The elegant case measures 41mm x 8.9mm and houses the slim manufacture calibre 1120 QP that is hand-finished and certified with the Hallmark of Geneva (Poinçon de Genève). The solid 22-carat gold rotor is decorated in a Maltese cross motif. 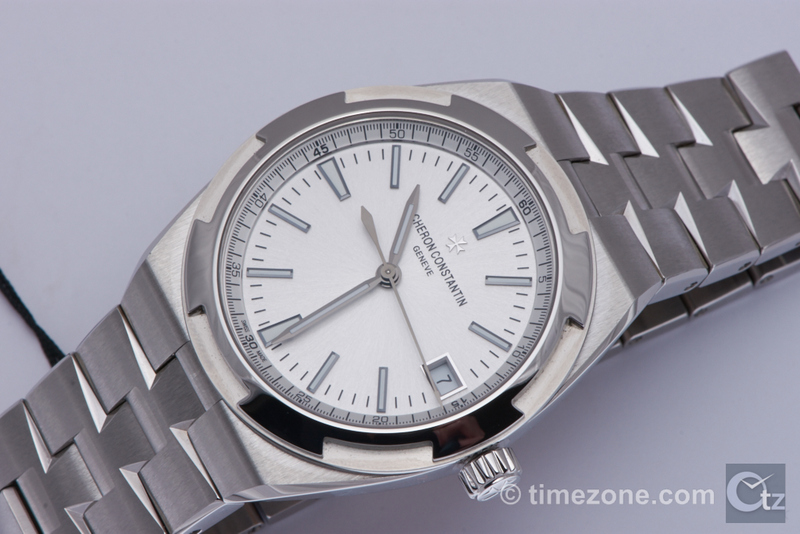 The caliber 1120 QP functions include the hours and minutes, perpetual calendar displaying the day of the week in a counter at 9 o'clock with moon phase at 6 o'clock, date at 3 o'clock, and the month and leap year in 48-month counters at 12 o'clock. 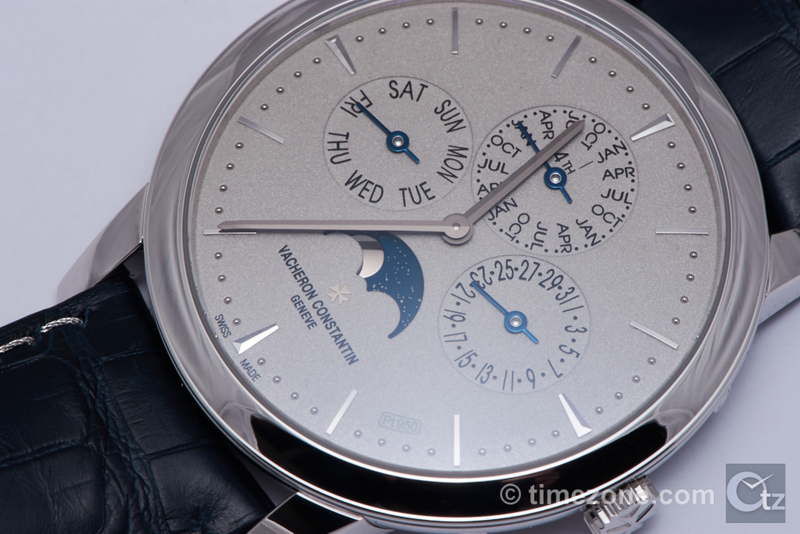 Limited to 100 pieces, the Patrimony Perpetual Calendar CEP price is $110,700. A simple three-hand timepiece with a subsidiary dial at 6 o'clock, the Patrimony 42mm features all the Patrimony design elements including a bassine case, curved opaline dial and pearl minutes track. The timepiece houses the hand-wound manufacture caliber 4400AS with 21 jewels and 65-hour power reserve. 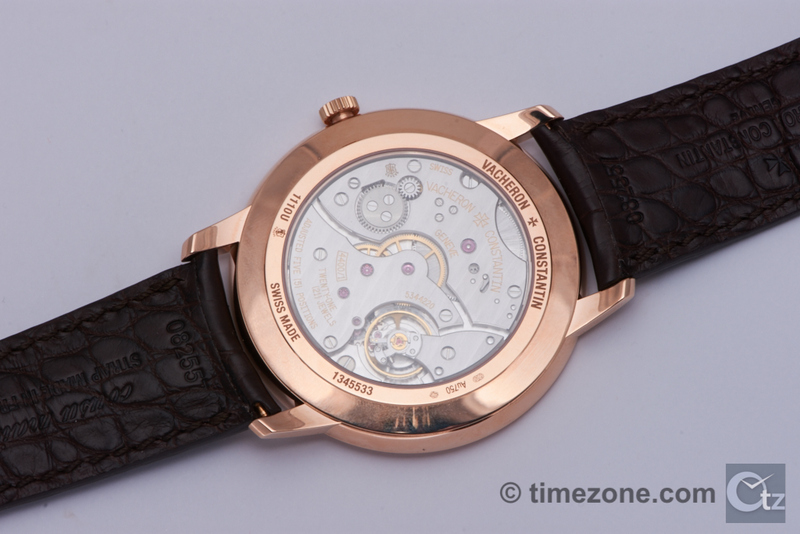 The movement is beautifully hand-finished and certified with the Hallmark of Geneva (Poinçon de Genève). Available in 18-carat white gold, 18-carat pink gold, or 950 platinum, price starts at $24,700. 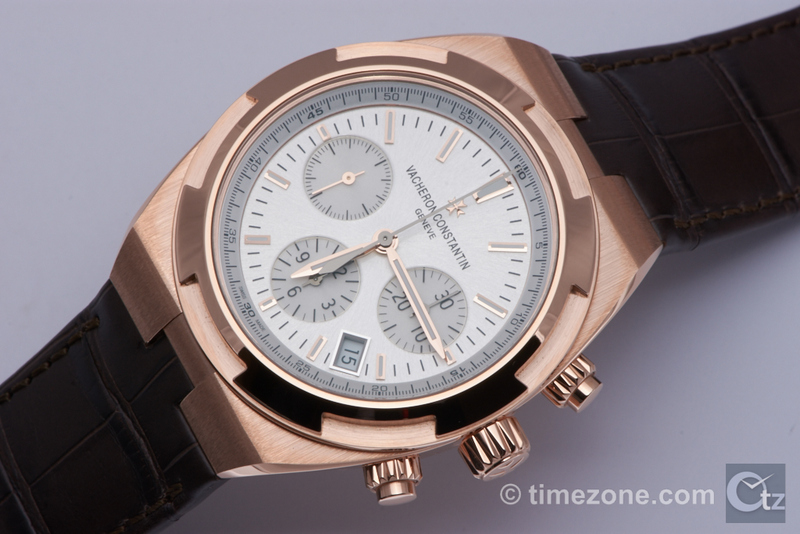 The Patrimony small features an 18-carat white or pink gold 36mm case fitted with a gold bracelet and deployant clasp. The manufacture caliber 2450 Q6 automatic movement is beautifully hand-finished and certified with the Hallmark of Geneva (Poinçon de Genève). The curved and silvered opaline dial features a circular pearl minutes track, applied gold hour markers and a date window at 3 o'clock. 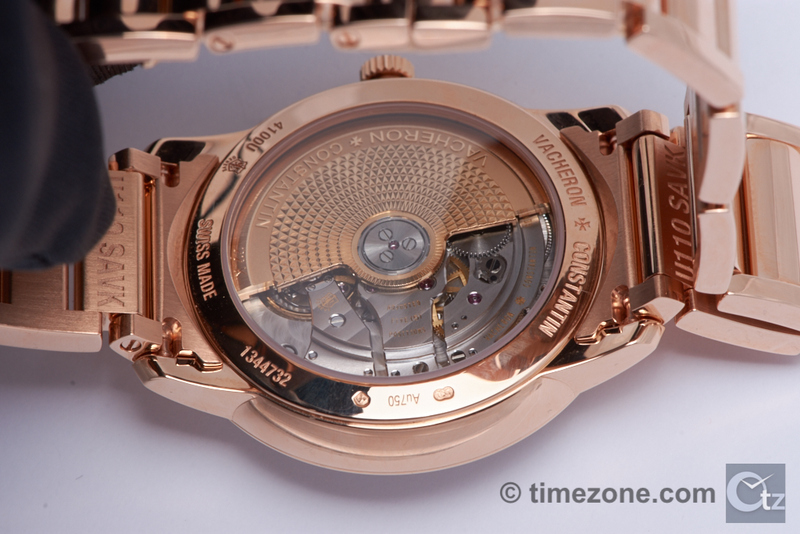 The new Parimony 40m case is crafted in 18-carat 5N pink gold and measures 40mm x 6.8mm. 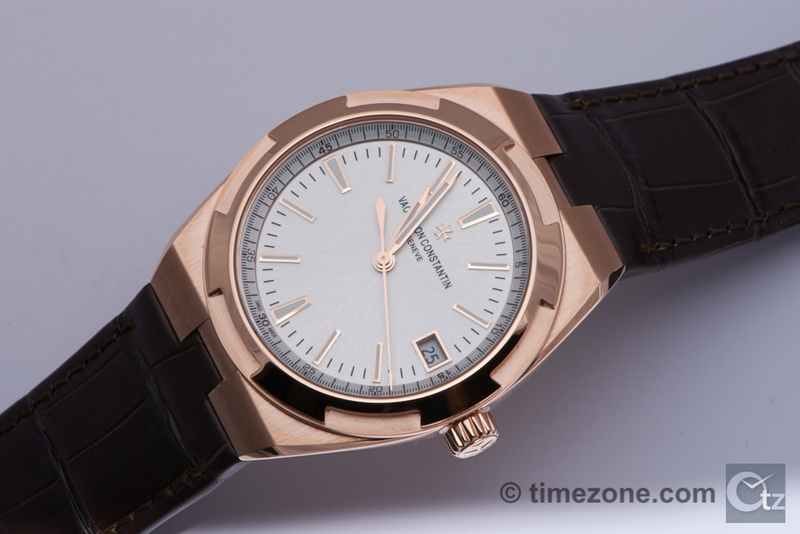 It is fitted with an 18-carat 5N pink gold bracelet. The curved and silvered opaline dial features applied hour markers, a circular pearl minutes index, and baton hands. 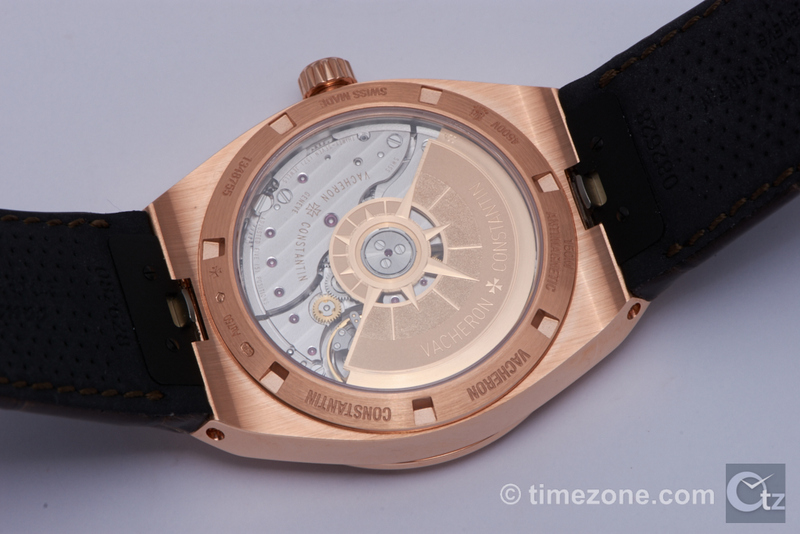 The movement is the Swiss manufacture caliber 1400 hand-wound movement with 20 jewels and 40-hour power reserve. 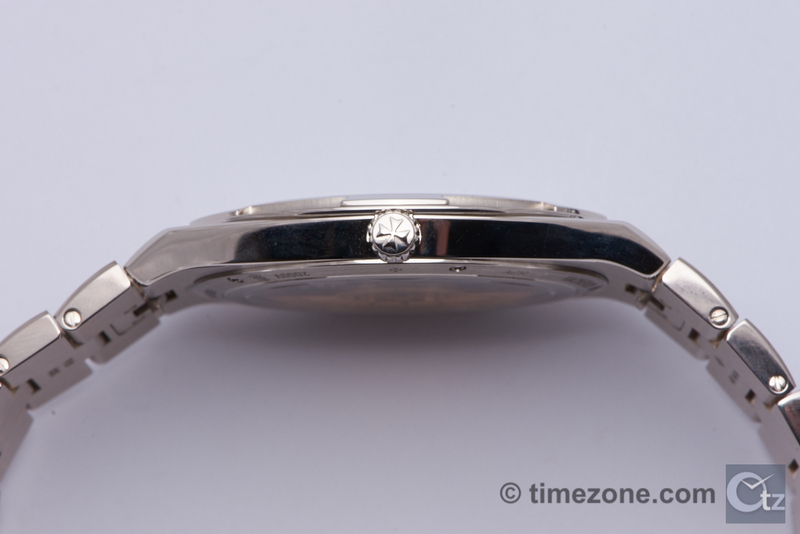 The hand-chamfered bridges are decorated with Côtes de Genève, and the beautifully finished movement is certified with a Hallmark of Geneva (Poinçon de Genève). Next Topic: Adjusting size of rubber strap w/deployant buckle.